Does this sound familiar to you? You were sitting in front of your Macbook Pro surfing the Internet or working on a project. All of a sudden, you saw the spinning beach ball. One second, two seconds...finally you started to cry out: "Why is my Mac laptop so slow?" Though Mac machines are generally considered to be faster than Windows PCs, it's not uncommon for a Mac to start acting up with symptoms like: taking forever to boot, freezing while opening an app, or mouse cursor becoming unresponsive, etc. You are not alone! As Apple advocates for a decade, we've probably encountered most of the performance issues you may be experiencing. Fortunately we were able to fix them, and today we still use our older Macs daily. The four main reasons why a Mac may run slow. Solutions to fix your slow Macbook and make it fast again. Bonus tips to mitigate risk of future slow-downs. Whether you own an old 2009 MacBook Pro, or a shiny new model with Touch Bar, or the latest 15-inch 2017 MacBook Pro with 512GB flash storage (SSD), over time it can run slowly. There are numerous reasons that might be the causes, but in general they all fall into the following four categories. If you keep your Mac running all the time, let too many apps join the fun on startup, or multitask with many heavy applications open -more often than not, your Mac will hang. A newer macOS usually performs better than an old one, but no system is perfect. You may experience firmware or permission issues that impede performance as well. Apps, whether pre-installed or downloaded elsewhere, can consume lots of system resources when used improperly, which slows down a Mac. Everything has a lifespan; your Macbook's hardware is no exception. An outdated hard drive or lack of RAM can be the bottleneck preventing desirable speed. These are just the high-level reasons. Check out this infographic that outlines 26 specific causes why a Mac might run slowly. You may find what's hanging up your machine. Update: if your MacBook Pro is slow only after updating to the latest macOS version (i.e. macOS 10.14 Mojave), the best fix would be restarting your machine for several times since the new macOS needs time to re-index or update data saved in the disk drive. For example, Photos can take a while to update the entire picture library; Spotlight reindexing tends to be time-consuming as well. Now that I've learned the reasons behind a slow mac, what should I do to fix it? The Manual Methods: best for those who are tech-savvy and you don't mind taking the time to do so. We list a number of things you can do manually to fix it. The Quick Technique: best for beginners or those who don't have time to implement the manual fixes. We recommend using an app called CleanMyMac (A good alternative is Dr. Cleaner, which offers more free features though it's less powerful). Note: the solutions we provide only work when your Mac can boot up normally. If it cannot, or you hear strange sounds coming from the machine (particularly from the internal Mac hard drive), contact Apple support or schedule a visit to Genius Bar for help immediately. The methods introduced below are the best manual fixes we have explored. The order is based on a combination of estimated time required and effectiveness to implement. They are, however, by no means the only solutions, and you don't have to complete all the methods as it's very unlikely you'll be able to. Meanwhile, read this post for a checklist on how to speed up Macbook Pro. When to use: your Macbook Pro runs extremely slow on startup. Why it helps: disabling login items (applications or services) you rarely use helps your Mac better allocate system resources to load the processes you do use, you'll reach the login or desktop screen more quickly. How to do: follow the steps in this YouTube video. When to use: your Macbook Pro takes a bit longer to load the first screen after startup. Why it helps: because macOS treats each desktop item (be it a file, a Dock application, or a Dashboard widget) as a small task, it uses resources to load it when starting up. Reducing the number of such items can make the first screen show up quicker. Keep less files on desktop. Try to group those files you saved directly on desktop, put them into few folders, and if possible move them folders like Documents or Pictures. ​Remove unnecessary apps from the Dock. Move your mouse cursor to an app, right click, select Options and click Remove from Dock. Clear unused Dashboard widgets. Go to Dashboard, press option button and move your cursor the the widget you don't want to show, click "x" on the upper left corner. When to use: your Macbook Pro is running out of space, and it slows down or freezes more frequently. Why it helps: macOS utilizes free hard disk space as "virtual memory" in addition to RAM (Random Access Memory). If your MacBook Pro is running out of storage, that means little virtual memory can be used by the system if needed. This may cause your Mac to freeze more frequently -- even when you just launch a few apps. In general, having at least 10% of free disk space can often prevent the problem from happening. Clear web browser (Safari, Chrome, Firefox, etc.) files such as caches, history, plugins, etc. Remove unused language packs on your Mac. Go to the "Movies" and "Pictures" folders, delete large or duplicate items you've already backed up. You can use Gemini 2 to find them more quickly. Go to the "Download" folder and get rid of items you don't need. Transfer big files or folders to your external hard drive or another computer. And other ways you can think of to lighten your Mac hard drive. Update: beginning with OS X El Capitan (including macOS Sierra), it's no longer necessary to verify or repair permissions as Apple has made system file permissions to be automatically protected. When to use: your Macbook has issues launching some applications, and doing so slows down your Mac. Why it helps: corrupted or damaged file permissions can cause certain applications to run abnormally or unable to run at all, thus affecting the overall Mac performance. Matt from CNET brought his sluggish Mac back to health using this method. Note: it's harmless to repair file permissions. How to do: check out this Apple support article or this YouTube video for a step by step guide. When to use: your web browser (Safari, Chrome, or Firefox, etc.) just seems stubborn to load pages, or becomes unresponsive. Why it helps: web browsers are notorious for dragging down computer performance after extended use. By implementing the things below, you can expect much smoother net surfing experience. Remove those browser extensions you rarely use -- (Safari here, Chrome here, Firefox here). Clear browser cache, cookies, plug-ins, and history. This can also free up much hard disk space. See this guide for how. Get rid of Adware (flash ads), this article from the Boyce Blog is worth a glance. Safari tends to eat up more RAM as time goes by, but a simple quit and restart will help it get back to "normal." Reinstall your web browser if necessary. When to use: your Macbook starts to run slower after opening several applications, but you have no idea which application is the culprit. Why it helps: Activity Monitor is a task manager on Mac that shows you both running applications and inactive processes. The list allows you to have a clear understanding about which one is devouring too many system resources (CPU, memory, disk, network, etc). Once you find the culprit, you can also use Activity Monitor to quit or force quit the app/process easily. How to do: see this video from MacWorld. When to use: your Macbook Pro acts oddly (it takes forever to figure out which disk to boot from, it's slow to shut down, the fan is running non-stop, screenshots are not adjusting correctly, battery indicator lights are behaving incorrectly, etc. ), and overall your Mac performs poorly. Why it helps: NVRAM (or PRAM in older Macs) stores certain settings in a location that macOS can access quickly. SMC has roles in controlling thermal and power management on Mac. Resetting NVRAM and SMC helps resolve the issues mentioned above, and it's a safe thing to do. How to do: check out these two videos for how to properly reset NVRAM and SMC. When to use: your Mac is still running an older macOS version (e.g. Yosemite, El Capitan or Sierra), and you meet the basic requirements of the upgrade -- for the latest macOS 10.13 High Sierra, you need at least 4 GB (preferably 8 GB) of RAM and 15-20 GB of free space on drive. Why it helps: a newer macOS version typically runs faster than an older one, though it depends the model of your Mac machine. How to do: there are a few things you need to know before getting ready to update your MacBook to macOS Mojave. For example, check whether your model is compatible, whether you have enough storage space, and most importantly backup your data, etc. Learn more h﻿e﻿﻿r﻿﻿e. When to use: best for those who are using an older Mac with limited hardware configuration, and don't particularly favor fancy interfaces and visual effects. Why it helps: by disabling or turning off features like Notifications, Transparency and Animations, Magnification, File Vault, etc., your can boost Mac performance since less system resources will be used. Minimize windows using and change Genie Effect to Scale Effect. Optimize Notification center and turn off real-time notifications you don't need. Get rid of preference panes. Go to System Preferences, locate a pane you want to remove, right click (or Control-click), then remove it from the pop-up menu. It may ask you to type admin password. Disable FileVault Disk Encryption option. When to use: you are using an old Macbook Pro, and you've tried every method you can to fix your slow Mac but it's still slow. Why it helps: adding more memory (RAM) or replacing your HDD (hard disk drive) with a new SSD (solid state drive) will give your Mac a real boost in performance. The only con is the upgrades can be pricey. Add extra RAM: depending on your MacBook model, you can consider Crucial 16GB Kit, Corsair Apple Certified DDR3 is also good. Learn more about the best RAM upgrades here. Meanwhile, you'll need to open the bottom case of your MacBook, a screwdriver like RION TECH 4 Pack may worth adding to your shopping cart as it will help you remove the 10 screws much faster. ​Replace with a SSD: Samsung 850 EVO and Crucial MX300 are both great options for basic users. If you use your MacBook Pro for professional work (video/graphic editing, 3D modeling, etc. ), you may be interested in Samsung 850 PRO. See here for more info. Also, don't forget to order a screwdriver like RION TECH 4 Pack as you may need it to separate your MacBook's bottom case by removing the 10 screws. Once you purchase your desired SSD, watch this video for how to install it step by step. The manual methods can be quite time-consuming and may require you to have certain level of technical skills. Fortunately, if you want to fix your slow Mac more quickly, here are some cleaning tools worth trying. 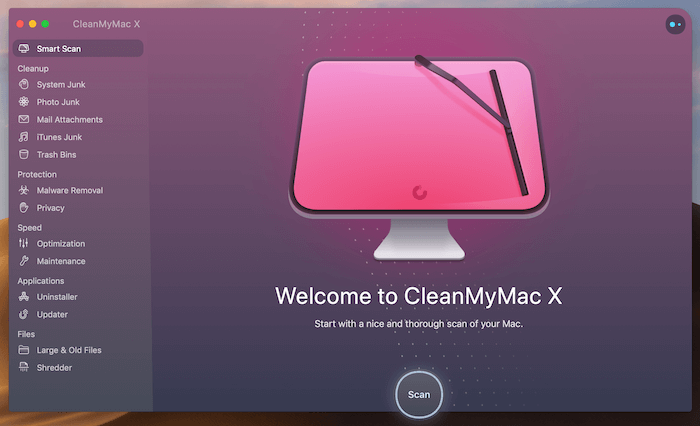 CleanMyMac X - an app developed by MacPaw Inc. As its name indicates, the core value of CleanMyMac is to help you clean your Mac and free up storage space -- by locating junks and unnecessary files through deep scan of the system: Photo/iTunes, Mail attachments, large and old files, etc. In addition, you can use the app to batch uninstall unwanted programs, and permanently erase files that are private to you. CleanMyMac is super sleek and intuitive, just hit Scan to get started and then Clean. MacBooster 7 - an app developed by the IObit team. MacBooster stands out for its all-in-one concept. The app includes a handful of useful utilities that you can use to monitor the overall status of your Mac system. TheVirus & Malware Scan module, for example, helps identify possible security threats and removes malware. 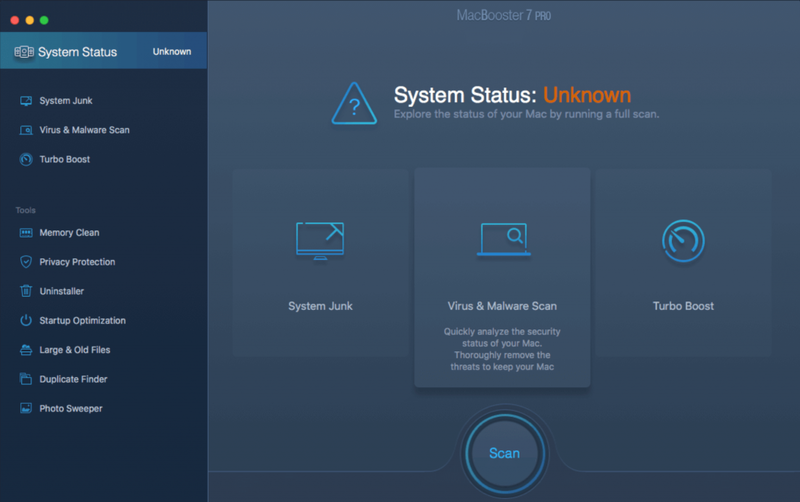 To get started, simply run a quick System Status scan to find and fix issues on your Mac. You can also move on to the Tools sections for further optimization. Shut down your Mac when you are away. Restart regularly. Do not save everything to the boot drive (where your system files are stored). A full boot volume can lead to a slow startup and other performance problems. Try not to install third-party apps that you don't need. They can consume much precious disk space as well as system resources while they're running. Additionally, outdated software can have problems running due to macOS incompatibility issues. Learn how to uninstall Mac apps in different ways. Use a lightweight browser like Safari or Chrome, Firefox tends to slo﻿﻿w down over time (Safari acts up sometimes too). Avoid opening too many tabs at once, and do not add too many browser extensions/plugins. Clean up the hard drive (especially when the startup disk is almost full) on a regular basis, e.g. once a month. You can do this manually, or use a tool (like the ones we recommend above). Always keep your software up-to-date, and have a good habit of getting software from App Store or the software provider's official website. If you regularly use your MacBook for work at an office, consider elevating it with a laptop stand or a coo﻿ling pad as this often helps avoid overheating issues. Don't immediately update your Mac to the latest macOS version (which is 10.14 Mojave). Let the early birds test out first, choose to update when you feel the timing is right. Don't blame your Mac when it's slow. Figure out the reason first and fix it right away. You never know when a small issue can evolve into a serious one. Are the information and techniques we've shared above helpful? Did you manage to tune up your computer a little bit? If so, we'd appreciate it if you could share this article. Also, feel free to contact us if you have any questions. We are just normal loyal Mac fans like you. We don't claim ourselves to be Mac experts, nor have we ever worked for Apple. All the information shared above is merely a walk-through of the knowledge and experience we've used to resolve our own Macbook Pro performance issues. Due to complexities of the subject matter, your results may vary. Some of the recommendations contain third-party affiliate links. If you decide to purchase one of them, we will receive a commission for the sale, part (if not all) of the earnings will be used to maintain this site. Nonetheless, we recommend them because we use the tools with our Mac machines and find them truly great. Make sure you only use what works for your issue, and don't over-spend on things you don't need.